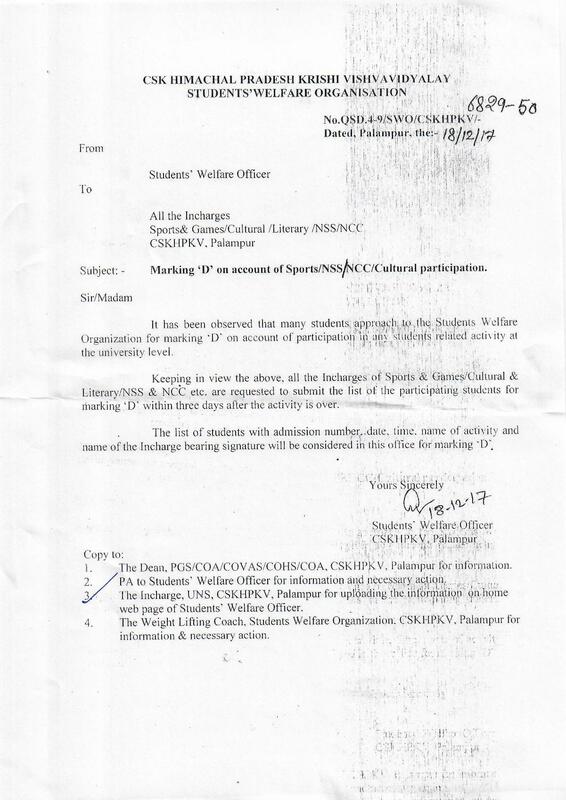 Notice Regarding "Election Awareness Campaign"
The Students’ Welfare Organization was created under the CSKHPKV Act. 1978. This organization is headed by a Statutory Officer designated as Students’ Welfare Officer. The Students’ Welfare Organization plans and coordinates various activities viz. Housing & Boarding, Extra-curricular activities for the overall personality development of the students and groom them as a Good Citizens of the Nation besides Counselling & Placement. The Organization also supervises the Students’ Association activities to allow them to work in a democratic setup and to bridge the gap between the students and University administration. A student is expected to remain disciplined under all circumstances and maintain high order of the overall standard in the University. They are encouraged to participate in all activities of the organization. 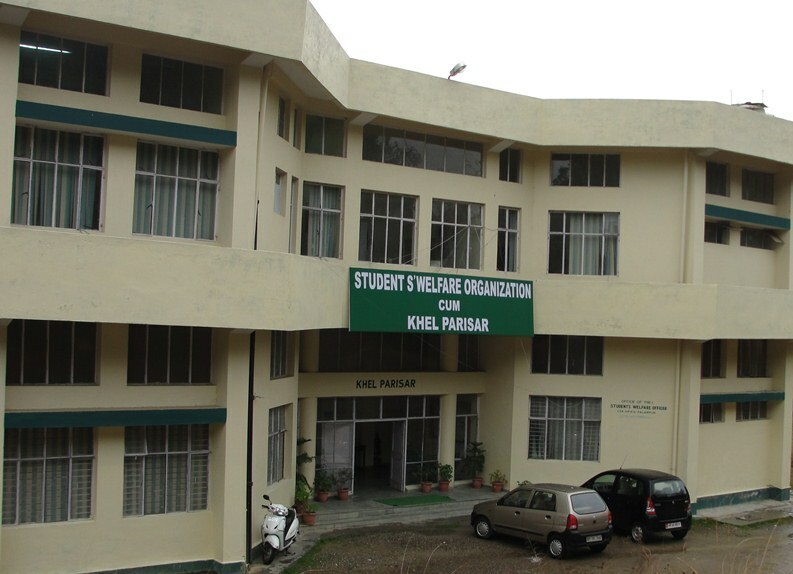 The organization is responsible for overall welfare of the students. It has within its ambit hostels, counselling & personality development, sports and athletic activities, NSS, NCC, extra­curricular activities, students’ placement and above all maintenance of discipline.